FW Hipkin are proud to add a brand new product to our ever expanding catalogue. 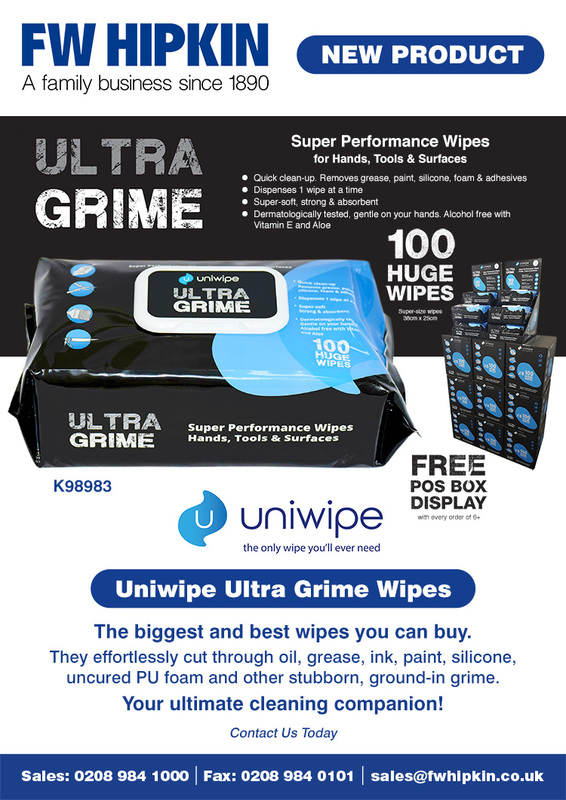 The Uniwipe Ultra Grime Wipes are super performance wipes, ideal for hands, tools and surfaces. Quickly removing grime, oil, paint and other stubborn messes from a number of surfaces. Popular with tradesmen, for a limited time we’re also offering a FREE point of sale display box with every order of 6+ packs. Watch a promo video of the wipes below.